For the conventional ball mill liner, ore pulp and grinding media wear and impact the liner directly while in operation, along with the electrochemical corrosion at the same time. or the conventional ball mill liner, ore pulp and grinding media wear and impact the liner directly while in operation, along with the electrochemical corrosion at the same time. But for the magnetic liner, the working principle is quite different: these magnetic liners are arranged alternately in the ball mill to form a strong magnetic field, the magnetic liner attracts a layer of broken or small steel balls and ferromagnetic minerals to the liner surface when in operation, thus forming a natural dynamic protective layer. 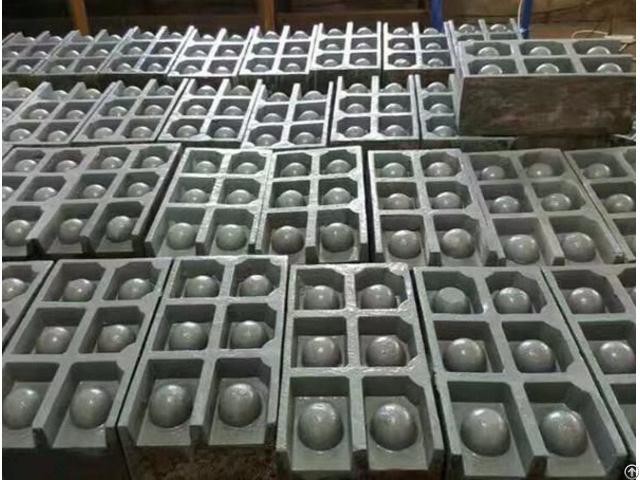 In initial period, the workers can add broken balls or iron powder to help form the protective layer, which often can be 20~30mm. So the service life of the magnetic liner is extended greatly, is generally 10 times even dozens of times of high manganese steel liner. Our company’s researchers developed a special non-magnetic material, which consists of military special alloy metal and some necessary elements. This type material has many great properties:such as wear-resistant, acid-proof, Alkali-resistant, corrosion resistance and excellent non-magnetic permeability. All these properties enable the formation of sufficient strength and thickness of protective layer . By using EPC casting process, we produce metal casing with neat appearance and precise size, so the contact surface of the cylinder and magnetic liner can up to more than 95%. Based on years of experience, our company always use the the magnetic material with stable performance and reliable quality, this ensures high quality of our products, and in some vulnerable parts we add some NdFeB magnetic materials. Our company use imported waterproof glue, the strong adhesive makes the magnets and the protective layer firmly bonded together. And the good water resistance propertity makes the waterproof layer on the magnet surface have sufficient strength, not destroyed in the transportation, installation and use. General can be used 4-6 years in the second and third stage for iron ore mining. 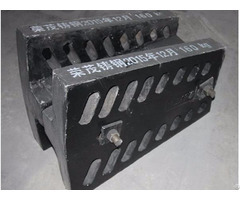 General can be used 2-4 years in the second and third of stage for Non-ferrous metal ore mining. The weight is 40-50% of manganese steel liner, so can reduce power consumption of the ball mill, which 7-10% lower than that of manganese steel liner. Can reduce the grinding ball consumption for ball mill, 10% lower than that of manganese steel liner. 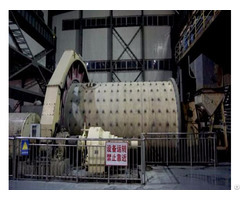 Can make the ball mill does not leak ore, without wearing on bearing bush, non magnetic agglomeration. Installed in one day with less labor. Can make the ball mill grinding particle size finer than that of high manganese steel, and also can increase the capacity of the ball mill and mill operating rate increased by more than 1% . In the second and the third stage of ball mill using metal magnetic liner instead of high manganese steel liner, bring the enormous economic and social benefits to the enterprise. Business Description: Chengde Rongmao Cast Steel Co.,Ltd. 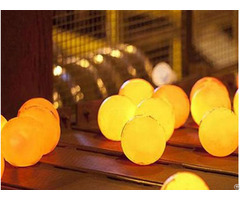 founded in 1980s, and located in historic and cultural city - Chengde China, is a large-scale casting & forging enterprise. For thirty years Rong Mao has produced Austempered Ductile Iron (ADI) grinding ball, Forged grinding balls, ball mill liner, various models of jaw crusher tooth plate, hammer crusher liner, castor-oil plant section, high-chromium alloy combined hammer and all kinds of high manganese steel castings. The company has 400 staff, including technical management personnel of 80 and 30 with senior and medium professional titles, and its plant covers an area of 36,000 square meters, with workshop area of 26,000 square meters and fixed assets of 200 million yuan. The annual output is 100,000 tons. Faced with fierce market competition, the company relys on advanced production equipment, perfect detection technology,standard casting process, innovative heat treatment experience and scientific testing means, and an accurate analysis of the chemical composition to produce good wear resistance and low broken rate products, which are sold through the country. “Rong Mao” brand is known nationwide; In 2007 Chengde Rong Mao Cast Steel Co., Ltd successfully passed the ISO9001 quality system certificate and ISO14000 environment system certification. With stable development, excellent product quality and honest services, the company stands out from the domestic foundry industry, and becomes a key member of China Foundry Association, and in successive years has been awarded as “honor contract and keep promise” company by provincial and municipal government. Our company has been adhering to high-quality, low-cost, timely business policy to won the recognition of mining, cement, and metallurgical enterprises. Our products are sold to Hebei, Liaoning, Shandong, Shanxi, Henan, Inner Mongolia, Jilin and North Korea, South Korea, Mongolia, Russia and many countries.We will insist the business philosophy of "science and technology as the driving force, survival on quality, and good faith striving for the development", dedicate to provide you with first-class products and quality service, and welcome new and regular customers to come and give guidance. Let's meet in Chengde, China.